无论那种备份方式, 都不是用来做故障恢复的, 出故障了请做切换, 提前做好高可用, 这些备份是用来搭建从库, 恢复部分数据 和 做数据的最后一道保障用的. 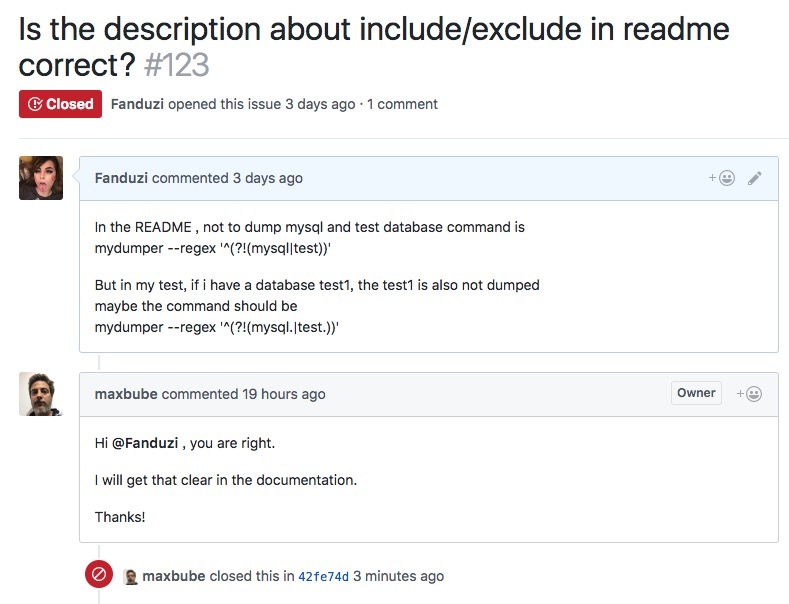 [FATAL] InnoDB: An optimized(without redo logging) DDLoperation has been performed. All modified pages may not have been flushed to the disk yet. 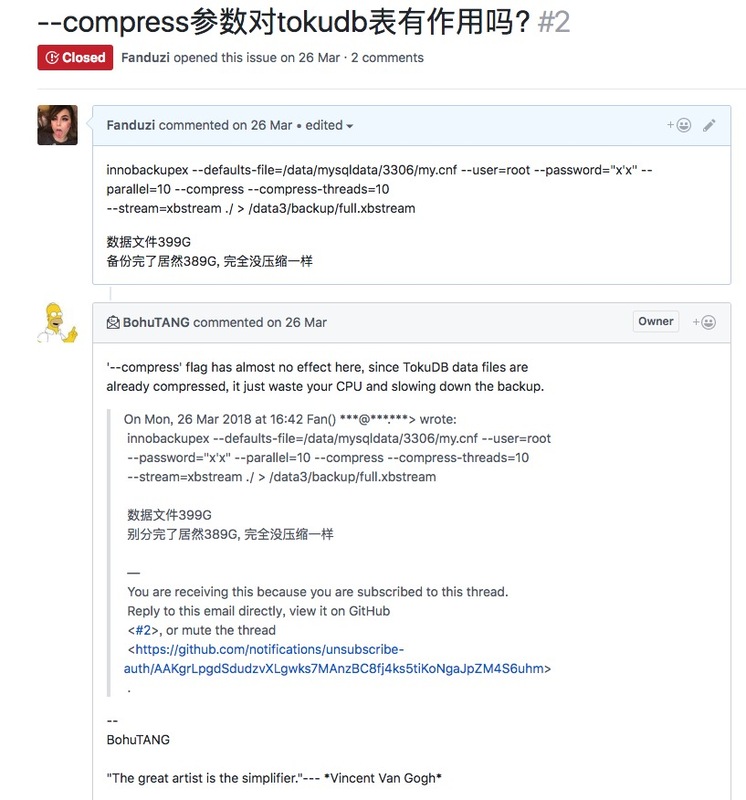 不过使用Tokudb-xtrabackup备份, 基本是你的Tokudb表多大,备份就是多大了, 你有1T的 tokudb表, 物理备出来基本就是1T了…. bk_command: mydumper --password=supersecrect --user=root --socket=/data/mysqldata/3306/mysql.sock --outputdir=/data3/backup_db/2018-04-27/b591ccc4-4a16-11e8-953f-005056b106c0/ --verbose=3 --compress --threads=6 --triggers --events --routines --use-savepoints --regex="^(BI\.|mysql\.|sys\.|test\.|test1\.)" 1.2.1.4. SELECT INTO OUT FILE这货有什么用?